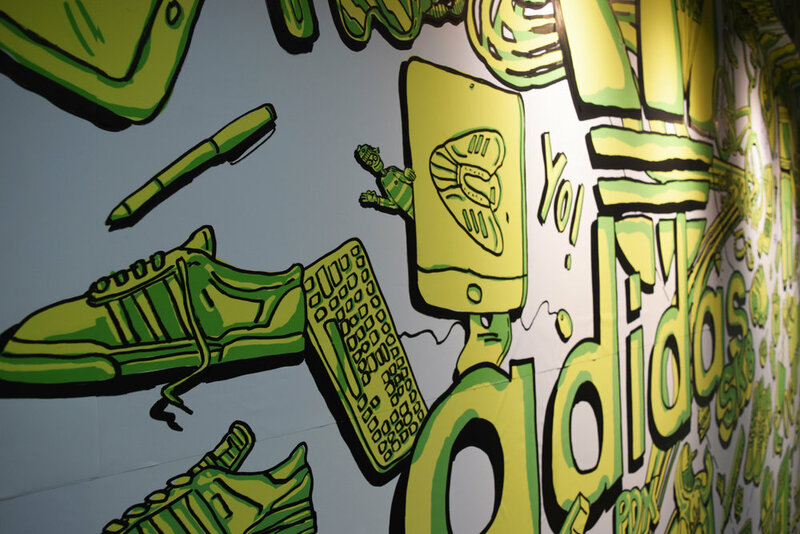 While experiencing a memorable internship with the adidas Action Sports design team, there were many responsibilities and projects that allowed me to grow as a designer. 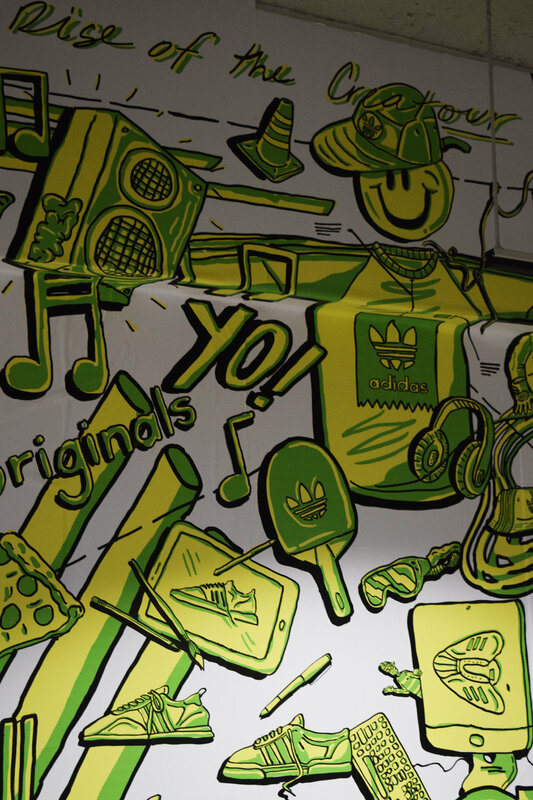 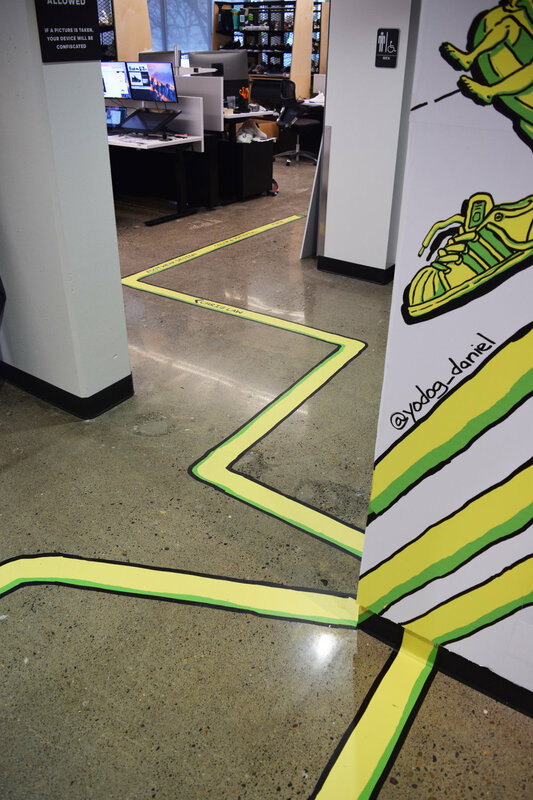 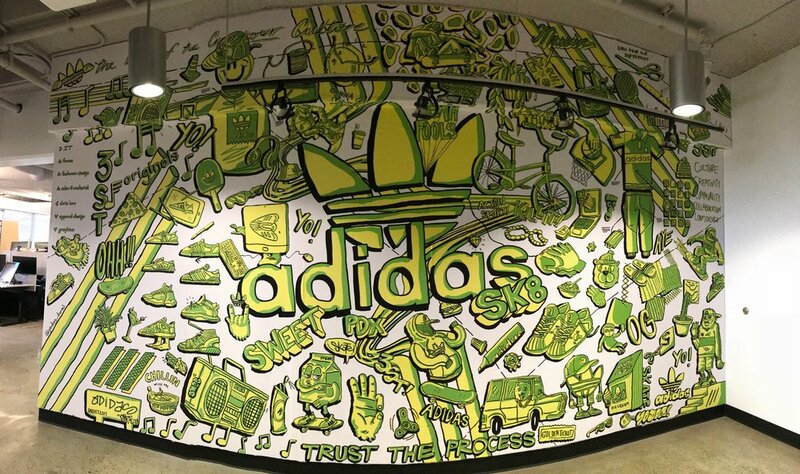 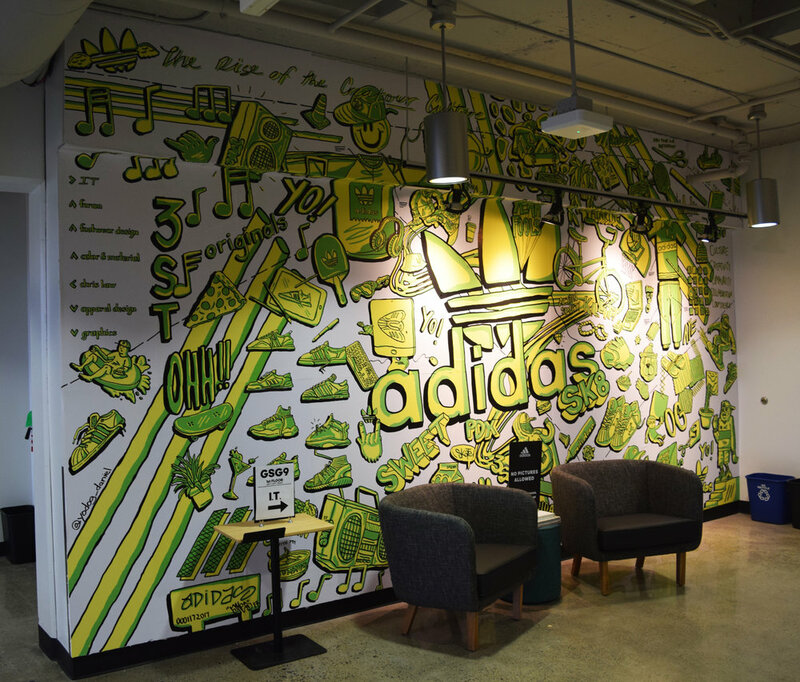 One of the many projects that was given to execute, was to create a mural for the introduction wall of the new space of the adidas Originals and Action Sports design team. 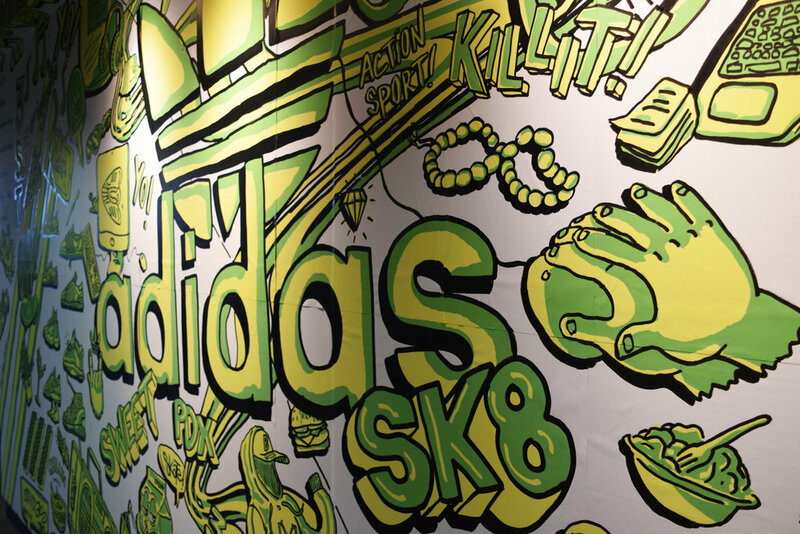 The wall was to be taken as a collection of stories representing each of the teams and individuals from footwear design to apparel design teams in Originals and Action Sports. 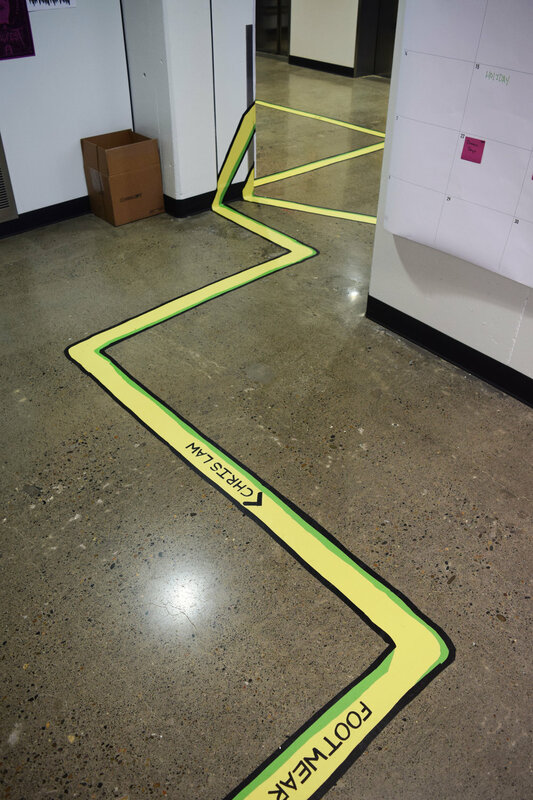 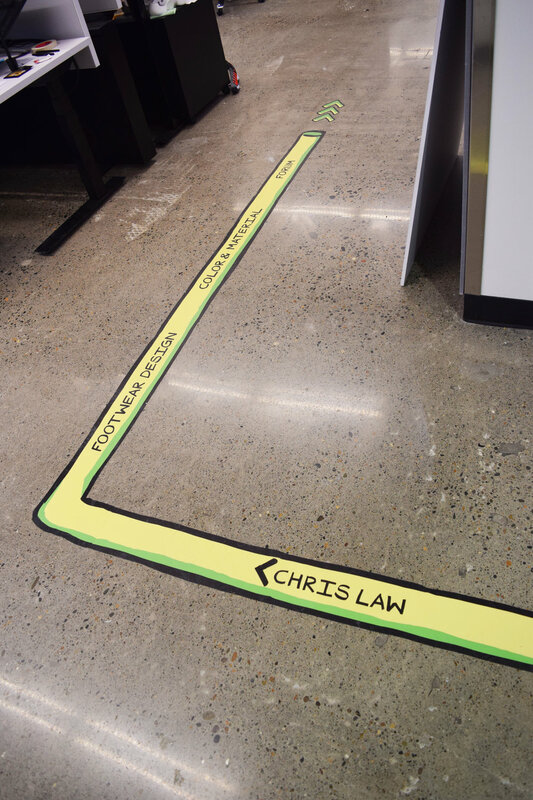 Elements from the wall extend onto the floor that function as directional way-finding.